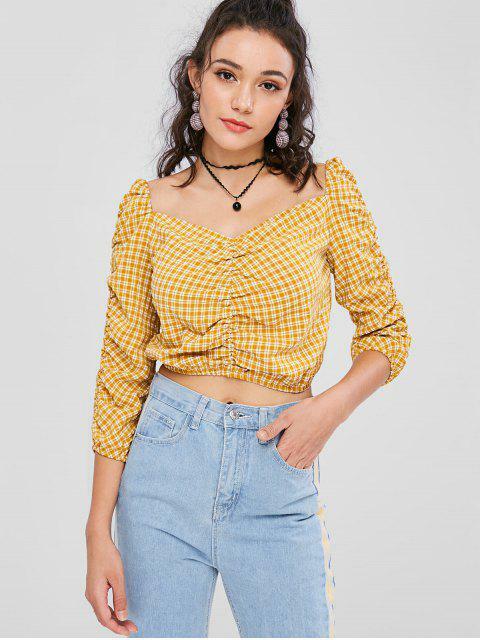 [25% OFF] 2019 Sweetheart Neck Plaid Crop Blouse In GOLDEN BROWN | ZAFUL .. Plaid or plain, which one do you prefer? Yeah, plaid, of course. 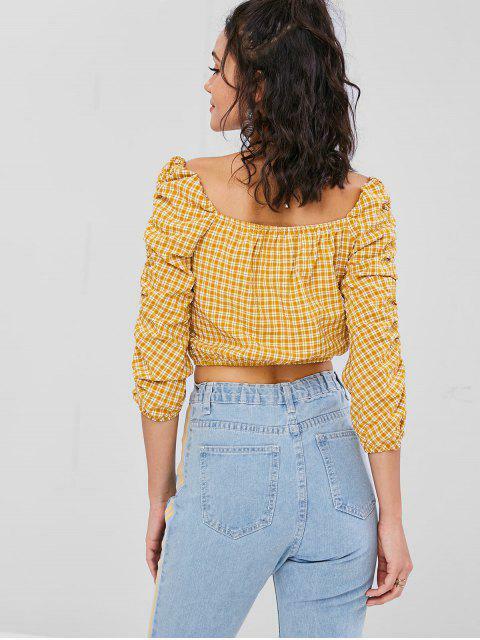 Featuring stunning plaid throughout with ruched details on the front and sleeves for a unique look, our new plaid blouse is a worthy staple for your wardrobe. The sweetheart collarline and the cropped length show much of your sunkissed skin. And it is a great piece to go with your jeans or denim shorts for a trendy style.